Vikan was founded in 1898 by A. P. Pedersen, who was raised just a few kilometres from our present headquarters here in Denmark. As part of a farming family who consumed the fruits of their own labour round the table after work, Pedersen had an instinctive awareness about the importance and value of hygiene. Over the subsequent decades, Vikan grew, went international and moved into exciting new business areas. But hygienic cleaning in the food and beverages industry has always remained our core focus. 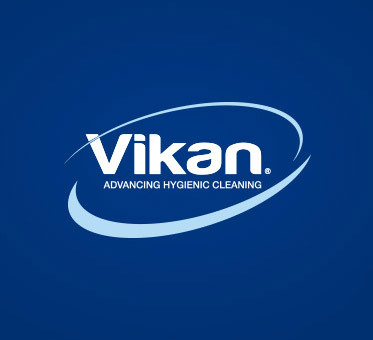 We talk a lot about design at Vikan, partly because our design advances have moved hygienic cleaning forward – repeatedly. Less told is the story of the materials that comprise our cleaning tools. These materials provide a whole new perspective on Vikan’s history. For many of us at Vikan, the most fascinating part of our founder’s memoir, is his account of the process he followed in developing the first Vikan cleaning tools. Why “fascinating”? Because it so closely resembles our approach to innovation today. Not at Vikan. Our company has always been a pioneer in both cutting-edge technologies and a modern, humanistic view of human labour. Read our founder’s thoughts on “the worker”, and you might discover a thing or two about why we at Vikan are the way we are. a non-profit charitable family foundation. Vikan is majority owned by the Vissing Foundation, a charitable organization that supports scientific research into diabetes and cancer. What’s in a name? Plenty, but to understand Vikan’s name, you have to know a little Danish. Find out how we went from being “Skive Børstefabrik” to “Vikan” – and what both names really mean.